We’re proud to announce today the general availability of Riverbed SteelCentral AppInternals SaaS, our full stack performance monitoring solution delivered as a service. 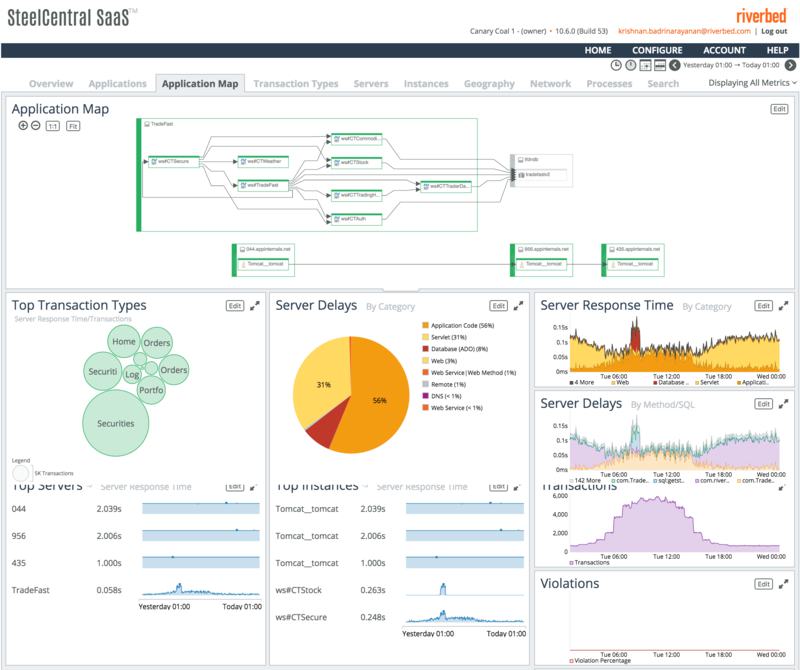 SteelCentral AppInternals SaaS provides end-to-end performance monitoring, diagnostics and business insights for applications, networks and infrastructure on and off the cloud, and their resulting end-user experience. Customer and employees alike, expect smooth and meaningful digital experiences to get things done. Businesses rely on IT to build and deliver apps, networks and infrastructure to meet these expectations and keep pace with users’ evolving needs. IT is in the process of adopting technologies—cloud, mobile, and analytics—to help deliver innovative apps to support digitized businesses. However, these technologies create new blind spots the IT must contend with in order to ensure that their applications perform smoothly in real-world scenarios. Developers, QA, operations and the business need the ability to see across application stacks, infrastructure and networks, and monitor user experience and business metrics in real-time to maximize their impact. Network & Infrastructure Diagnostics: Continuously monitor your dynamic infrastructure. See their impact on your apps and vice versa. Resolve resource utilization and network-related errors before users are impacted. User Experience & Business Insights: Understand your users’ satisfaction and trends in real-time. Identify your application’s best and least used features, and quantity its financial impact on business results. With the combination of these capabilities, SteelCentral AppInternals SaaS blends cross-domain insights to give IT teams and the line of business a holistic view into what’s impacting their applications from a technology perspective, and how the apps are contributing to key business metrics such as user adoption, employee productivity, cost efficiencies, sales growth and seasonal trends. You’re never more than two clicks away from an answer when alerted of a problem. AppInternals traces every transaction, while capturing system metrics every second in dev, test and production environments. This gives you multiple perspectives into end user experience, application, network and infrastructure performance, along with workflows for root cause analysis and problem discovery. 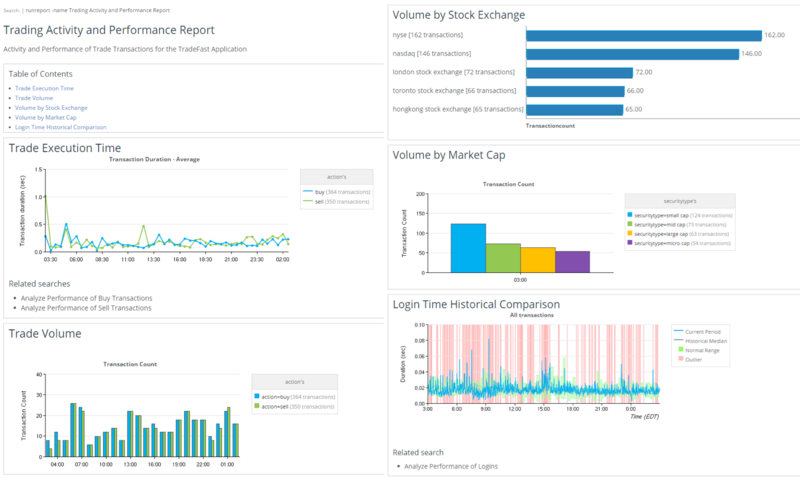 Unlike other solutions that often sample transactions and roll-up metrics into intervals of 1 minute or more, AppInternals’ detailed reporting exposes and diagnoses even sporadic and intermittent problems. Store a record of every transaction along with its associated system metrics, call trees including parameters, URLs, user information, network conversations and web service calls. Reconstruct past incidents in great detail, measure impact and act decisively to fix offending code, SQL, network, infrastructure or web service issues. Other solutions only partially store data associated with past transactions. This leads to missing evidence, creates blind spots and fails to find root cause. 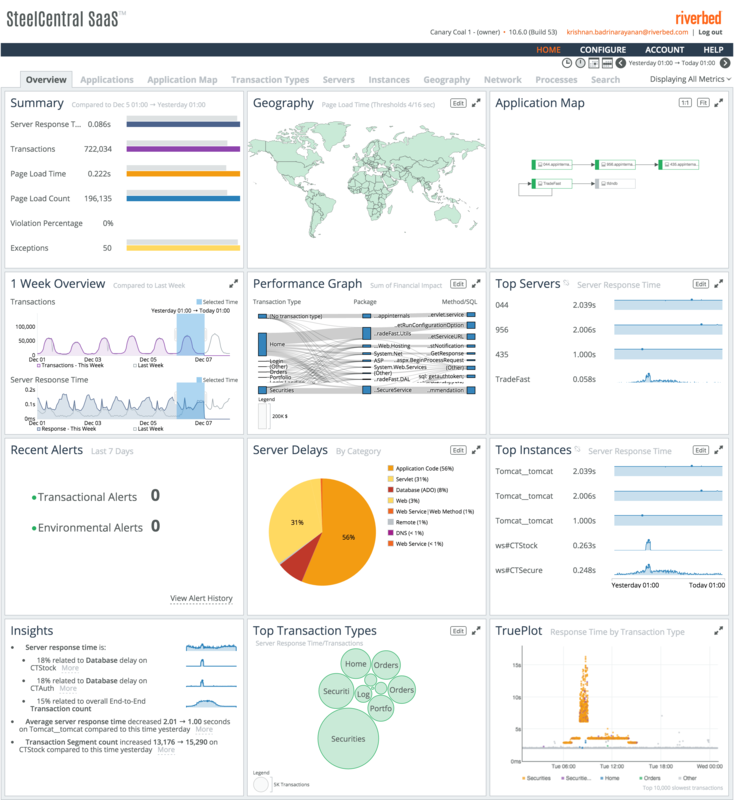 Seamlessly monitor and manage your dynamic infrastructure, including datacenters, IaaS, PaaS and containerized environments. See your server and network topology to understand dependencies or plan for capacity. Query billions of metrics using big data analytics to discover anomalies and draw business insights. Perform free form analysis using simple ‘and’, ‘or’ queries assisted by auto-complete to filter down by transaction-type, user, server, method parameter, etc. and continuously improve performance. Discover key business transactions and quantify the application’s financial impact on the business. Measure impact and share performance insights and diagnostics across development, QA and production. Detailed diagnostics help development and support teams fix problems without having to reproduce them, resulting in faster time to resolution. Sign up to try SteelCentral AppInternals SaaS for free.